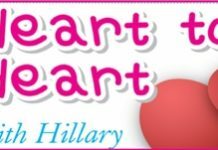 Home Blogs Heart to Heart with Hillary The new rock group, at a bar near you! The new rock group, at a bar near you! Hope this arrives in time for New Year. Thank you for making some of us bar-flies happy reading your column in 2015, and all the best for 2016. What a wonderful name. Are you a rock group? Or are you trying to attract groupies? What bar and I’ll come and join you for a New Year’s champagne, if you’re offering?